Do Credit Cards Make People Spend More? Popular financial guru Dave Ramsey is no fan of credit cards. 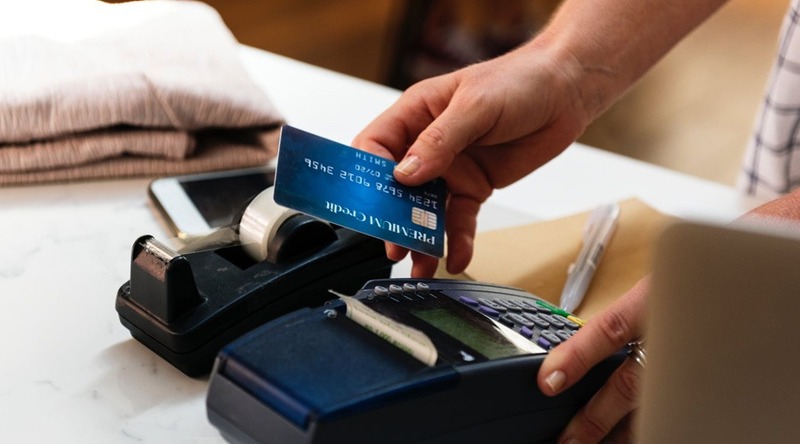 One of the reasons he cautions against using plastic for everyday purchases and emergencies alike is the argument that people who pay with a credit card are likely to spend more than when they only have cash available to pay with. One study indicated that people might be willing to spend as much as double on discretionary items like baseball tickets if they used a card as opposed to cash. Not every study is quite so scary. Another study indicated that a family who bought a Thanksgiving dinner with a card spent $175. A similar family was willing to spend only $145 when they paid with cash. This is quite a bit more, but it’s nowhere near 100 percent more. Why are people more likely to spend more when they pay with credit cards? It’s largely psychological. There is less pain associated with paying with plastic. When you pay with cash, there is a physical, tangible exchange made. It is more transparent what you’re giving up when you pay with cash. On the other hand, when you pay with a Visa, Amex or MasterCard, there is less of this transparency. When you spend all of your cash, it’s gone. Using a card allows you to spend more than you have in the budget even to the point of using up your available credit. This pain of paying with cash is also tied to the delay in actually having to pay up. There is a time gap from when the purchase is made and when you have to pay for it. Additionally, the same study that looked into the Thanksgiving purchases found that people who used credit rather than cash spent more on unhealthy food. They purchased more ice cream, cookies and potato chips than those who made their purchases with cash. The pain of paying with cash seems to cut down on the amount of junk that people buy. Credit cards do not make people spend more in a forcible way, but they make it easier to do so. There is the question of whether using a card for everyday purchases can make sense because of the rewards that some cards offer. It can make sense to use cards for purchases that you have to make anyway. For example, your Internet bill is not likely to vary whether you use a card or pay with a check or cash. If you can get a few dollars back on the purchase, why not? However, it’s important to question whether it’s a wise idea to use h a card on discretionary purchases. If you have weak willpower and are prone to spending on things that aren’t really necessary to sustain you or that bring you no lasting joy, it’s probably a good idea to leave the plastic at home. You’ll likely buy more, and this means that you’ll have less to save for the future.